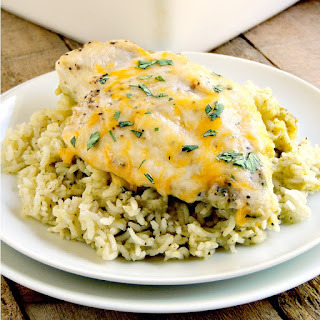 Oven Baked Creamy Green Chile Chicken - This baked chicken and rice dish is easy, delicious, and I will bet it becomes a family favorite! Is it just me, or do the holidays seem to get here earlier and earlier every year? It might have something to do with the fact that there are stores that already have their Christmas decorations out! Halloween hasn't even gotten here and I am seeing Santas and snowmen!! It is just wrong people. Now, I am a HUGE fan of Christmas. I can't wait to get my decorations up. If it were up to just me my Halloween decorations would come down and the Christmas ones would go right up. But that means that I wait for Halloween to be over! My family thinks I am nuts for wanting to put them up as early as I do. They make me wait until after Thanksgiving. So you KNOW that I am pulling everything out on the day after and we are out hunting for the perfect tree. Kevin has finally stopped arguing with me about it and goes with my flow. That is just the start of my holiday hoopla. First, we get the tree, then I drag a kabillion and one boxes of decorations into the house and begin the process of deciding what "theme" I want to go with, which will, of course, tell me what to get out of which boxes. Oh yes, it is a process. One year we did a "Whoville" themed Christmas tree. Which by the way is one of my faves. How can you go wrong with bright colors, fun shapes, and tons of lights? It is funny, I used to be like my Mom and Grandma. I worked with the traditional themes. It was always clear lights, carefully wrapped and twisted to just about every single branch on the tree. When I would decorate with my Mom it would take 2 to 3 days to just do the tree because everything had to be "just so". Mom was a picky one, so I became one too. Mr let's get the show on the road. No, no, NO! That is NOT how you decorate a tree! I am the one rushing behind him wrapping the lights faster! He also broke my "you only put clear lights on a tree" issue. Can I tell you that I actually argued with him for a good hour about how colored lights were for outdoors, and clear lights were for the tree? 10 years later? We use clear AND colored lights. Gotta love a good compromise, right? But that is what inspired the Whoville tree. Bright lights, bright colors, baubles, funny shapes, and TONS of ornaments. The kind of tree that would have sent my brain into a tailspin before, makes me ever so happy I guess it just brings out the kid in me. Another thing that the holidays bring? TONS of easy to make recipes. I want all of my time spent on decorating, shopping, and spending time with the family. Yes, spending time with the family usually means that I am the one that is cooking. Hence the easy recipes. When I discovered that I could bake rice? Oh, the heavens parted and the angels sang! Did everyone already know this golden nugget of information? Was I the last one to the party? I hope not! This recipe used to take sooooo much more work. I roasted the chiles (which I still do from time to time, just not at the holidays), the chicken was in the oven, the rice was on the stove. More work, more pans, no bueno! Now, it might look like it takes a lot of work because the total time is an hour, but most of that is hands-off, letting the oven do the work, time. The kind of work we like right? What do we like more than less work? Really good food, that the whole family loves, that is less work! That's it right there baby!! 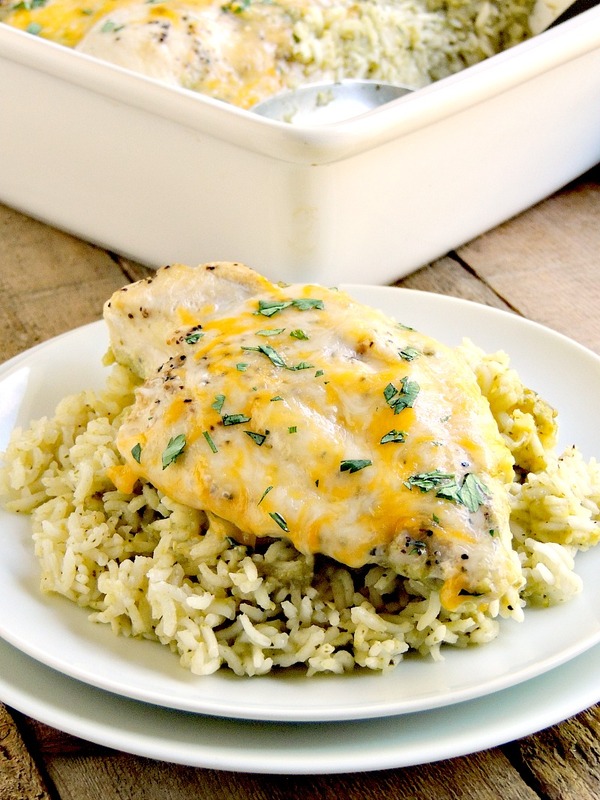 Easy oven baked creamy green chile chicken and rice. Juicy chicken over a bed of rice, with an amazing green chile cream sauce. Place the chiles in a food processor with the stock, onions, garlic, cumin, oregano, coriander, salt, and pepper; purée. In a saucepot over medium heat, melt butter and whisk in flour. Add milk and yogurt, and raise the heat a bit. Add the chile puree and simmer to thicken the sauce, 15 to 20 minutes. While the sauce is cooking, place a large skillet over medium-high heat and add the olive oil. Season chicken breasts with salt and pepper and brown 3 to 4 minutes on each side then remove from the heat. Add the rice, 2 cups hot water, and 2 cups of the poblano sauce to a casserole dish and stir to combine well. Lay the chicken breasts on top of the rice and spoon the remaining sauce over the chicken. Cover tightly with foil and bake for 30 minutes. Remove the foil, top with cheese, and bake 10 more minutes, or until the chicken reaches an internal temperature of 165 degrees. I LOVE your Christmas stories! 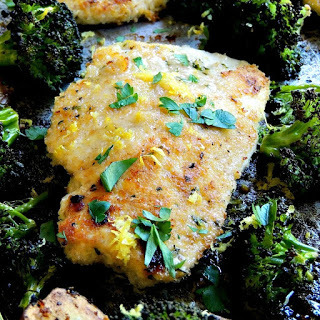 I am also pinning this recipes to "Family Meals" so I don't forget it! what a delicious and easy recipe to make. Now that all the boys are living on their own, they frequently asked me for easy-to-make recipes. I'm going to share this one with them. I am picky when it comes to decorating the tree. I have a few different themes I can choose from each year. This Creamy green chile chicken looks so delicious and easy to make. I will have to give this recipe a try. 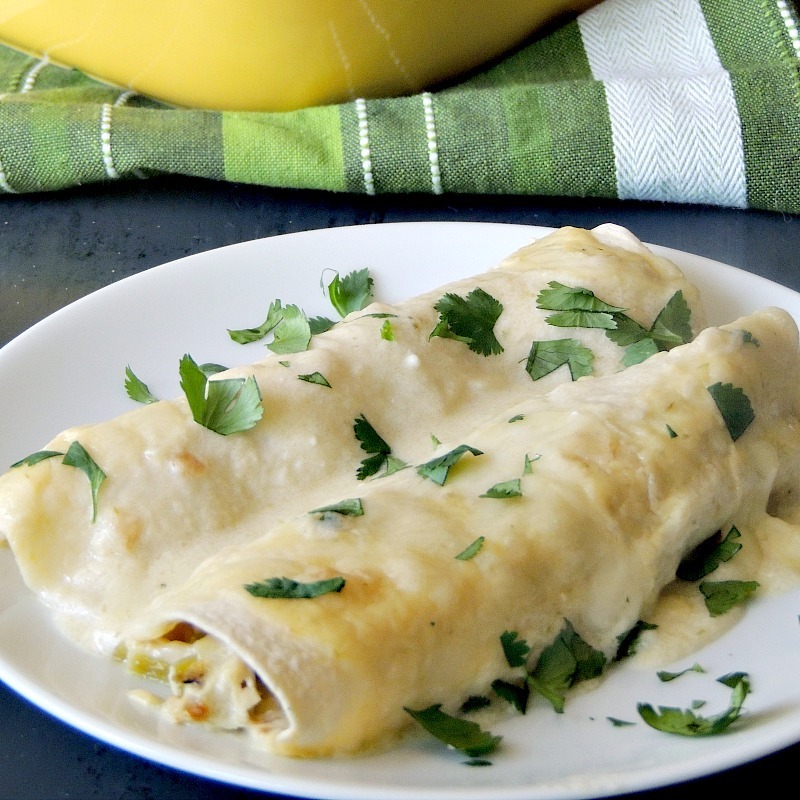 My mother makes a really delicious enchilada recipe that looks so close to this, just with tortillas. If this is half as good as hers then everyone is in for an amazing treat! I really like how your tree decorating has evolved during those past 10 years LOL. :D I usually prefer clear lights but might buy colorful ones this year. 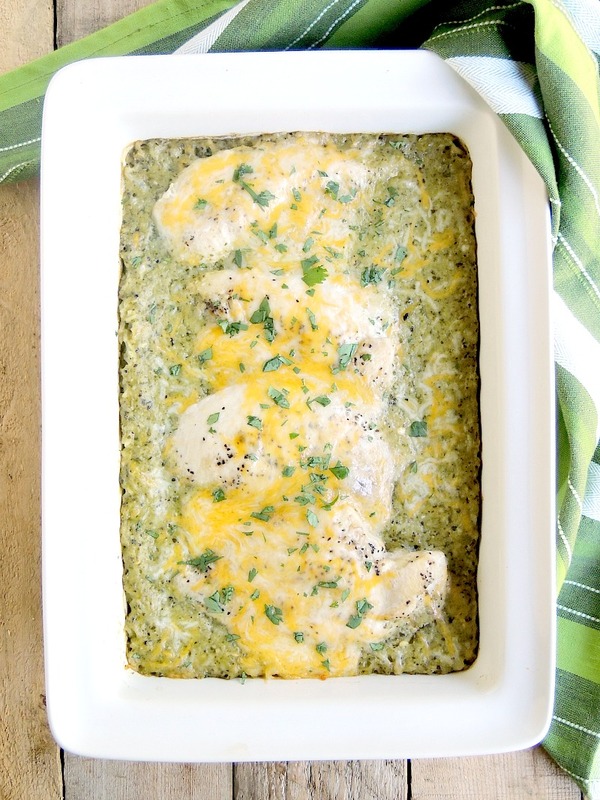 Your Oven Baked Creamy Green Chile Chicken looks delicious! YUMMY! 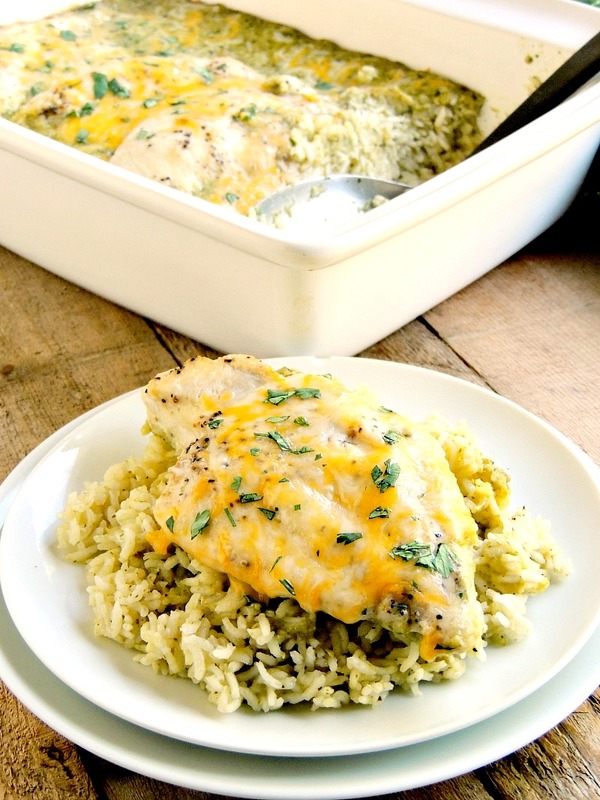 This Oven baked creamy green chile chicken looks so so good. I love meals that I can just prep together and let the oven do the work! This looks like it tastes fantastic. 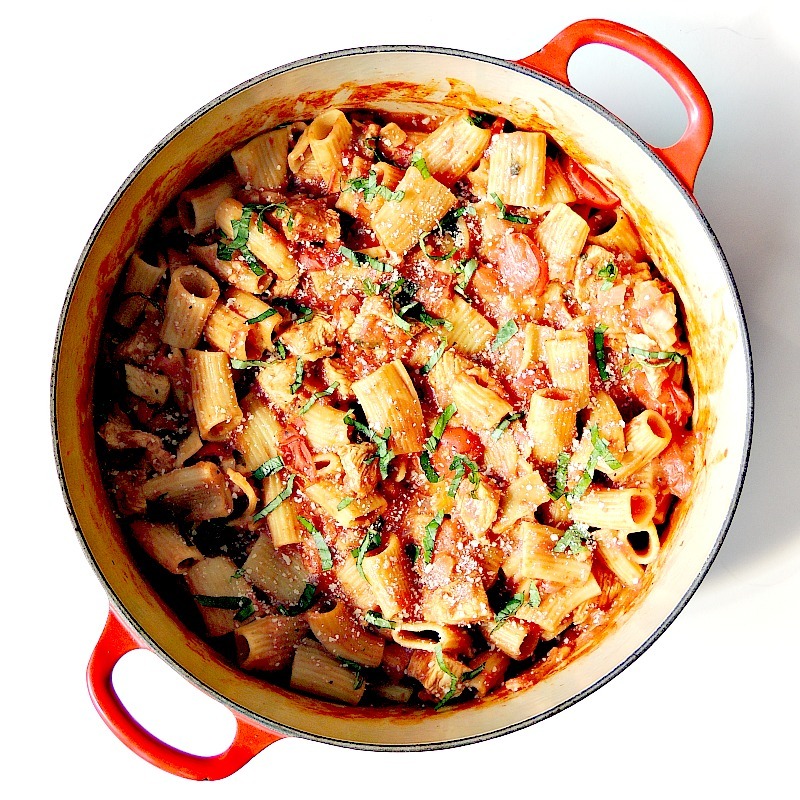 This is a recipe my family would eat the heck out of! I love how easy it is too! I actually tried this last week! I meant to come back and tell you how much I LOVED IT! It was delicious. I have added it to the meal plan for next week too because I am already craving it again. 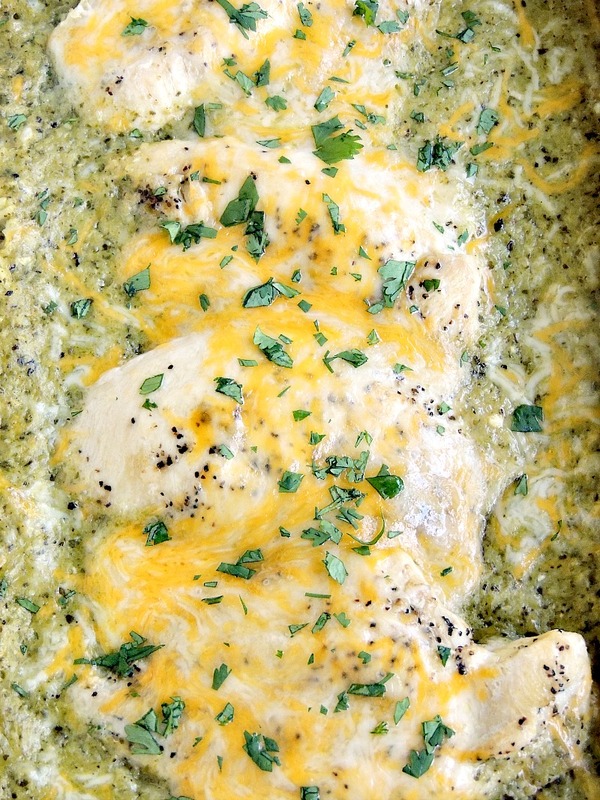 This baked creamy green chile chicken looks delicious and really tempting. Perfect dish for our family gathering this coming November. I will definitely try this. and hopefully, my family would love this kind of recipe.